Four months ago, I wrote a review on Body Shop Carrot Moisture Cream. I admit I did not use daily as I should, simply because sometimes I feel it a tad oily. There is still 10% left in the tub. 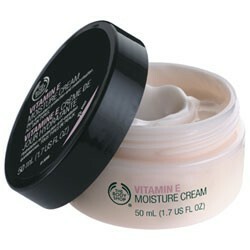 This time, I bought a tub of 50ml Body Shop Vitamin E Moisture Cream. It is claims to be one of the bestseller in Body Shop. Everybody's favourite and our bestseller. An easily absorbed daily moisturising cream that has the lightness of a lotion with the moisturising benefits of a cream. It helps protect the skin, leaving it feeling soft, smooth and healthy-looking. Vitamin E - Is a naturally powerful and one of the best antioxidants that help protect the skin against damaging environmental elements, such as the sun, pollution and cigarette smoke. Helps neutralise free radicals, which are destructive molecules that attack cells and harm the skin. Is an excellent moisturiser that improves the smoothness of the skin. 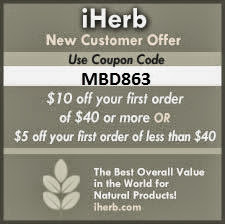 Helps protect the future of your skin. Sorbitol - Helps the skin to retain moisture. Lanolin - Is one of nature's richest moisturisers. Is readily absorbed and so provides good protection for the skin. Texture was very light but very hydrating. I am very surprised with it as I expected it to be more or less like the Carrot Moisture Cream, but it is actually as good as Dr.G's Water Holding Essence. Bear in mind Essence are normally more expensive and have to be used very sparingly *maybe because it's too precious and expensive for each drop! * and to find a Moisture Cream as good as an Essence is something to note. I definitely like this more than Carrot Moisture Cream. Skin feels as hydrated as when I used Dr.G's. No oiliness after application and hydrates the skin. Skin feels more supple and plumpy after application. I managed to get hold of a tub during the 50% sale in Body Shop. P/s - Yin /Min, do you know how much is it in M'sia? If it is a good buy, can buy for u all! This item is good for this price range. Edit 2013-07-12 : My facial routine now consists of Dermalogica products.